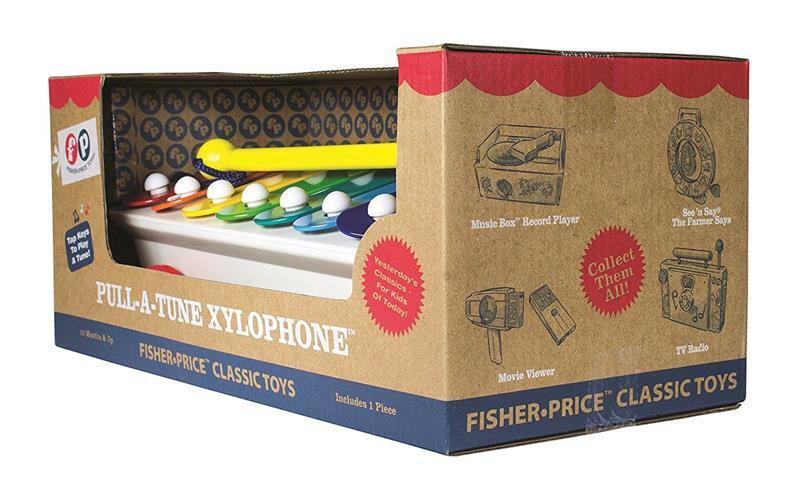 Since its introduction in 1957, Pull-A-Tune Xylophone has made music and delighted children all over the world. With eight rainbow colored bars and a mallet, today's Pull-A-Tune Xylophone makes beautiful melodies for a whole new generation of children to enjoy! Brand New in Retro Style Box. Ships in 1 to 2 days.